Shaheed Jathedar Sukhdev Singh Babbar was the iconic leader of the Khalistan movement between 1978 to 1992. He ranked among senior Generals like Bhai Gurjant Singh Budhsinghwale, Bhai Avtar Singh Brahma and Baba Manochal. However his impact was legendary, and was considered the backbone of the struggle. Such was the calibre of this Gursikh, that everyone referred to him as “The Jathedar…”. (one and only). The charismatic leader of the Damdami Taksal, Baba Jarnail Bhindranwale was infuriated by this. He also held Jathedar Fauja Singh in high esteem. He called for Sikhs nationwide to oppose all Nirankari activities. Since 1980, the Indian Security Forces had come to know of a youth called Sukhdev Singh, and had began to hunt him. So Bhai Sahib permanently shifted all command operations to Siri Darbar Sahib, Amritsar. It was here that stayed from 1980 till 1984. Babbar Khalsa had come into existence here. Sant Jarnail Singh had established the Dharam Yudh Morcha. Bhai Sahib fully supported this movement. He also wished all the youth of Punjab to leave intoxicants and become Sikhs of the Guru. 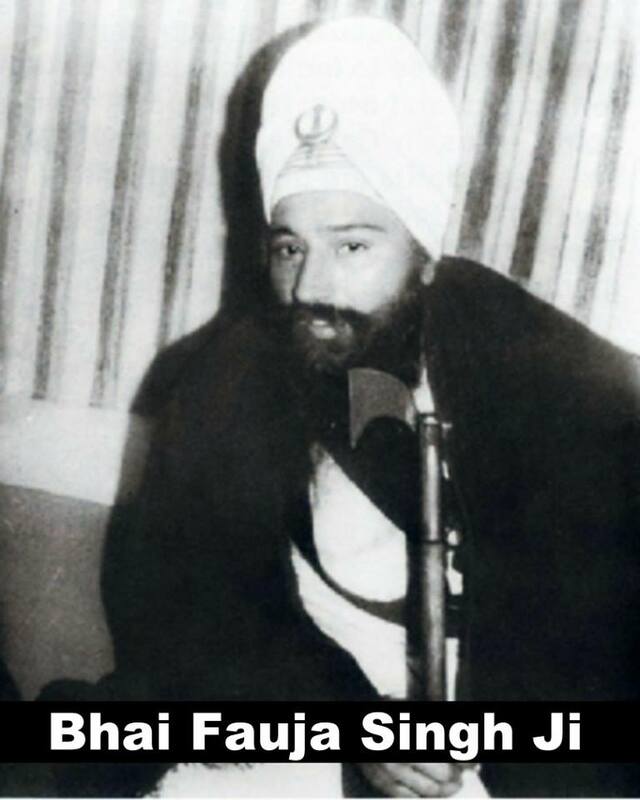 Sant Jarnail Singh ji was also a highly spiritual and visionary Gursikh. He knew since the Shaheedi of Jathedar Fauja Singh, that hard times would fall on Sikhs and they needed to become Shahsterdhari (armed). He also knew anti-Panthik forces would do everything to divide the Sikh Youth to ensure that Sikh demands are not met. The Sikh youth who were brave and full of spirit were in two Jathebandies; – Damdami Taksal and Akhand Kirtani Jatha. During the early 1980s, a meeting occurred between Sant Jarnail Singh ji and Bhai Joginder Singh Talwara. Bhai Amolak Singh was also sent to represent the youth as no organisation had formed at the time of this meeting. In this meeting it was agreed that no issues that divided these two groups would ever be allowed stop the common cause of the Sikh Nation. Later as Babbar Khalsa came into existence, Sant Jarnail Singh Bhindranwale held them in high respect, and they are often mentioned in his lectures. Names like Bhai Kulwant Singh Nagoke, Bhai Manjit Singh Babbar are mentioned frequently. When Sant Jarnail Singh ji was in prison after being arrested in Chowk Metha, it was national news. Bhai Sukhdev Singh and Bhai Wadhava Singh walked into the police station armed with guns. The police realising who had just walked in, ran for their lives. Bhai Sukhdev Singh asked Sant ji to come with them and continue his Parchaar. Sant Jarnail Singh ji said he appreciated their courage, but has no need to go underground. Sant ji said his release had already been arranged legitimately. Sant Ji respected the way Bhai Sukhdev Singh had quickly dealt with the Nirankaris “7 Sitarees” (their equivalent to our Punj pyares). Also how he had planned how Bhai Ranjit Singh would infiltrate Nirankari Baba Gurbachana house, and numerous other high profile actions. During 1983-84, the security services tried to divided the Singhs. It had been the wish of the security services that Sikh youth fight amongst themselves, creating enemies, and opportunities which could be used to gather information from rivals, and start them eliminating each other. Some infiltrators dressed up as Singhs and robbed a Hindu mans store in Amritsar. They told him to leave Punjab or he will be killed. They pretended to be Sant Bhindranwales men. The distraught hindu shop keeper went to Darbaar sahib, and was told by sangat to see Bhai Sukhdev Singh, who was based at Baba Atal Sahib Gurdwara. Bhai Sukhdev Singh was upset that people are doing this is Gursikhi Baana (clothes), as it gives Gursikhs a bad name. When the Babbar Khalsa Singhs located these infiltrators, Bhai Sukhdev Singh got a laathi, ( a long Danda- wooden stick), tied them upside down from a tree and beat them with it. He made them give all the money back, and told them never to threaten any innocent again. Other infiltrators tried to stoke up the Taksali Singhs against Babbars saying Sukhdev Singh had beat up these Singhs. Many rumours were circulated to get one group against another. Some of these rumours later even got published in books, to ferment differences between the groups. But Sant Ji knew this was not correct, and instead started refering to Jathedar Sukhdev Singh ji as “Saccha Sukha”, (The Truthful Sukha). Both Sant Ji and Bhai Sahib knew their fight was not against innocents. Sant ji, too was called in press as a Hindu hater, but facts show he was highly respected by many Hindus. The fight was only against those who choose to destroy Sikhism. Even today, in books written about the Operation BlueStar refer to differences between the two leaders, which are baseless. Sant Logowal and Gurcharan Singh Tohra, both key Akali leaders at that time also sought to divide Sukhdev Singh and Sant ji. They were afraid of the growing prominence of Sant ji and the amount of youth with him. The only person capable of standing against him, who also had a lot of youth with him was Bhai Sahib. So these leaders also indulged in rumour mongering to divide the two Gurmukhs, and associated themselves with the Babbars. During this period of 1980-84, Bhai Sahibs family was blessed with children. Bhai sahib had one daughter, Amrit Kaur, and two sons called Tejinder Singh and Gurvinder Singh. Bhai Sahib elder brother, Bhai Mehal Singh also joined the ranks of the Babbar Khalsa. He is an exceptional individual, especially capable with electronics. These skills became very valuable to the Movement. Rainsbai Kirtan in Amritsar, just before the 1984 attack on Darbar Sahib by the Indian Government. If you look towards the bottom left hand corner, you’ll see Singhs from Babbar Khalsa International in full Bana (all are wearing Kesri Dumallai). Bhai Sukhdev Singh Babbar and Bhai Anokh Singh Babbar were sat there too. Just a few days later, many of these Singhs gave their lives to protect the attack on Sri Darbar Sahib. Bhai Sahib had been based in Siri Darbar Sahib for some year now. All the Singhs based in Siri Darbar Sahib knew that the Government were sending troops and a conflict would soon happen. General Subheg Singh ji commanded all the Singhs during Operation Blue Star. Bhai Sahib was accompanied by 90 Babbar Khalsa Singhs during the Operation. General Subheg Singh had asked the Babbar Khalsa Singhs to position themselves at the Guru Nanak Niwas, Guru Ram Das Niwas, and Baba Atal Sahib. Bhai Sukhdev Singh and Bhai Mehal Singh were positioned at Baba Atal Sahib Gurdwara. Bhai Mehal Singh ji, is a genius with electronics, and had created an elaborate communication system around the whole complex, so all Singhs knew what was happening all the time. When the Operation Blue Star began, the first Singh to be Shaheed was Bhai Mengha Singh ji Babbar. He was a very high jeevan wale Gursikh, who spent most of his time doing joorian de seva ( seva of shoes). He had been shot in the skull, however just sat down, ignored the blood from his head. He started singing Sukhmani Sahib very loud. Only when he had completed the whole Sukhmani Sahib did he leave this world. When the initial firing ceased, all the Singhs including Sant ji, and Bhai Sukhdev Singh were together at his funeral. The Singhs all fought together for the next two days. They fiercely held the Battalions of the Indian Army. They were expertly directed by and under the guidance of General Subegh Singh ji. Everytime the army thought they had made some advance, the Singhs would go into the sewer systems, come up behind the army and attack them from both sides. Another Babbar, Bhai Avtar Singh was the one who did keertan in Sir Harmandar sahib as part of a jatha. He continued keertan during the fighting for many hours, and never stopped, giving strength to the Gursikhs fighting, and also wishing the maryada of continuous keertan in Darbar Sahib to remain. He was shot in the chest and attained shaheedi on the second day of Operation Blue Star. Bhai Anokh Singh Babbar was given the seva of ferrying innocent sangat out of the complex during the 3 days of fighting. He and his unit saved hundreds of sangat from the inevitable slaughter. For 3 days, they kept coming in and out of the complex saving sangat, and passing vital ammunitions. After fighting for 3 days, the Battalions of the Indian Army had suffered many losses. Frustrated they brought in tanks, and a helicopter gunship to attack the Singhs at Siri Akal Thakht Sahib. Jathedar Sukhdev Singh saw from his position at Baba Atal Sahib, that the Siri Akal Takht sahib was totally desecrated, and the only Singhs left were the ones fighting around the well underneath Siri Akal Takht Sahib. Bhai Mehal Singh sent a message to Sant Ji on the communication system stating, that we can send 2 Singhs down the sewage systems, to the well and get you out. But you have to tell us now, otherwise it will be too late. Sant Ji sent a message back, stating, “He had done Ardas never to leave, and will stay until Shaheedi”. A few hours later, Sant Ji accepted Shaheedi. Much of the focus of the army was also on Baba Atal sahib and Guru Nanak Niwas, but now with Siri Akal Thakht Sahib subdued, the Army shifted the tanks to their direction. The Singhs had now seen what had happened at Siri Akal Takht Sahib. The Singhs told Jathedar Sukhdev Singh, we must leave now, and continue the fight. Bhai sahib did not want to leave, and said he would cover their escape. But they insisted, and Panj Gursikhs did a hukam on Jathedar Sukhdev Singh. They were totally surrounded. A signal was sent out to all Singhs still fighting at Baba Atal Sahib, Guru Nanak Niwas and Guru Ram Das Niwas. They got suitcases from the Niwas (hotel), and tied one on the front, and one on the back, with ropes. All the Singhs came running out together fighting under a hail of bullets at the same time. Many Singhs were shaheed, but many also managed to get to the side streets of Amritsar. The whole area was under curfew. But many Singhs were given sanctuary by the local residents. The same Hindu shop keeper, that Jathedar Sukhdev Singh had helped before, helped Bhai Sahib escape. The Army was going from house to house and flat to flat, gathering all Sikh men, as part of Operation Woodrose to massacre them either inside Darbar Sahib, or in surrounding areas. Hundreds of Sikhs were being killed. When the Army came to check the building in which Bhai Sahib had gone to, they did not search the flat. The Hindu shop keeper opened the door, and because he was a Hindu, he convinced them to ignore the flat. Bhai Sahib realised that many valuable Gursikhs had been lost during the Operation Blue Star and Operation Woodrose. The Government had also attacked 40 other Gurdwaras, aswell as Siri Darbar Sahib complex, and in total many thousands of Sikhs had died. The Babbars had to regroup a mount a long term sustainable guerrilla movement to establish Khalistan. The Babbars were instructed to cross the border into Pakistan. In Pakistan and other foreign countries, the Babbars started buying better quality weapons, and set up training camps. They created a plan to re-integrate into Punjab, under numerous disguises and set up an elaborate communication procedures. The Indian Intelligence Services were always of the opinion that Jathedar Sukhdev Singh lived in Pakistan. They stuck to this theory for many years. However Bhai Sahib never went to Pakistan. He just sent a cell of Gursikhs there to organise activities. Instead he continued his practice of leading from the front, and took part in actions in Punjab. Bhai Sahib very cleverly became active under the disguise of a building contractor. He posed as a rich man, which allowed him to rub shoulder with those in power in Punjab. This way he kept in touch with all those, who made decisions to that affect Punjab everyday. It is also allowed him to keep faxes, and other elaborate communication devices, by which he communicated with Gursikhs on a world wide level, without raising suspicion. As a building contractor, he was also in touch with those controlling the construction of the canals which led Punjab river waters to other states. He subtly ensured that the contracts would not be completed, and the projects are continuously delayed. Plus being a rich man, he made politic contacts which gave him access to information about which police officers were active against the Singhs, and who was torturing and killing the Singhs. Further he began creating links with other Sikh Youth Jathebandies with like minded aims and objectives. This way he created a network called the “5 Member Committee”. This joined the forces of Babbar Khalsa, Khalistan Liberaton Force, (Avtar Singh Brahma, then Gurjant Singh Budsinghwale), Khalistan Commondo Force ( Parmjit Singh Panjwar), Bhinderawale Tiger Force (Rashpal Singh Chandra), Sikh Students Federation (Daljeet Singh Bittu). Later after losing all confidence in the leaders of the Akali Dal like Badal and Tohra. Bhai Sahib set up the Babbar Akali Dal to give a political voice in Punjab, and a voice for the widows of Delhi. However many of its leaders were given life imprisonment under TADA with no trial or charges. The Punjab Police and Indian Intelligence Services made capturing and eliminating Bhai Sahib their top priority. They realised he was the backbone of the movement. As other Generals were being Shaheed, they were being replaced, however Bhai Sahib was so iconic and organisationally effective, he would be irreplaceable. Many Singhs were tortured in the cruelest of manner to find out the where-abouts of Bhai sahib. However such was their love and respect for him, that they never uttered a word. For 14 years Bhai Sukhdev Singh led the Khalistan movement in Punjab. He ensured many responsible for the genocide against sikhs, met there suitable ends. During the late 80s and early 90s, the Singhs were so strong, that they virtually ran a parallel government in Punjab. Even international magazines, such as article in India Today had reported that Bhai Sukhdev Singh Jee was the “most prominent militant leader since 1978, who had, over the years, acquired an aura of Invincibility”. With Bhai Sukhdev Singh at its helm “Babbar Khalsa had acquired a reputation as the most puritanical, austere, and ideologically committed militant organisation”. Most Indian journalists regarded the organisation as above the other groups as it owned up to its assassinations and condemned the killings of innocent civilians. There was another report in India Today where an un-named Police officer told the paper that when they tortured Gursikhs by cutting there muscles and pouring chilli powder into the cuts and also using hot poke into the eyes and muscles and ripping the muscles of the bones he used to hear Naam-Simran and also Paath. In one such case was when he witnessed the death of Bhai Anokh Singh Jee Babbar. He left the police shortly afterwards due to stress and mental problems. Another mark of Jathedar ji, was after his Shaheedi, no group was for many years capable doing any major operation in India, until Bhai Dilavaaar Singh Babbar blew up the genocidal Beant Singh, Congress Chief Minister of Punjab. Even after that, the movement has never been the same. So many Dushts against Sikhi are still alive and active today. The Panth needs Gursikhs of the Calibre of Jathedar Ji. Never was there a better example of a Gursikh worthy of the title “Jathedar Ji”. This was the mark of his Jeevan, the mark of the man and the Legend. He was tortured severely, but never revealed a word about his fellow Singhs, who after his Shaheedi took 6 months before they could regroup again in Pakistan. While using his fingers to twist his moustache, on national TV, KPS Gill, further stated that now “Gurbachan Singh Manochal, Parmjit Singh Panjwar and Wassan Singh Zaffarwal should now surrender, otherwise they would meet the same fate as Jathedar Sukhdev Singh Babbar and Khalistan Liberation Force Leader Bhai Gurjant Singh Budhsinghwala.” (who was Shaheed just months earlier). He further stated “Sukhdev Singh Babbar not only supplied Babbar Khalsa with weapons, but all the other groups aswell. He was responsible for firstly, the liquidation of most of the Nirankari leadership, the Nirankari Baba Gurbachan, Niranjan Singh I.S.S in Chandigarh. Further major operations in Punjab, Delhi and Haryana, and was an expert in precise bombs explosions to kill targets. He also killed Agriculture Minister D.S. Tyagi, Ex-Cabinet Minister Joginderpal Painde in Ludhiana at Bhai Bala Chowk, Manjit Singh SHO, and many other dignatories & politicians. A more accurate list of Bhai Sahib missions can be researched from “Vangaar” magazine copies. Many notorious names such as Radhe Shaam (Congress Leader), Khishi Raam Sharma (BJP Leader), and murderous police officers – Hargeet Singh S.H.O, Ghabar Singh S.H.O. of Ludhiana can be added to the list. The Babbar Khalsa unit of Bhai Anokh Singh was sent to Delhi after the riots of 1984, under a plan drawn by Jathedar ji. They were credited with assassinations and explosions which killed many leading Congress politicians and planners of the riots. Bhai Sukhdev Singh ‘Babbar’, the chief of Babbar Khalsa International was announced by the police to have been killed in an encounter with the police on the Sahnewal-Dehlon Road in Ludhiana district at 5am on 9.8.92, but contrary to the police claim all other reports indicated that Sukhdev Singh was already in police custody. It was in these circumstances that IHRO appointed a four-member team comprising of its General Secretary Mohinder Singh Grewal and Secretaries Gurbhajan Singh Gill, Bhupinder Singh Somal and Harchand Singh Gill to investigate the incident. “SSP Sidharath Chattopadhya instructed that various militant organisations, especially the Babbar Khalsa International are likely to execute a big action in connection with the Bhog ceremony of the Khalistan Liberation Force Chief, General Gurjant Singh Budhsinghwala, so nakabandis were done around Ludhiana. I along with Shiv Kumar-DSP (D), Narinder Pal Singh-DSP, PP Sabharwal-SP (O), Ganesh- SI (CRPF) and their parties was present at the Dharaur Culvert in the revenue estate of village Nandpur when at 5 AM, a Maruti Car No: CH-01-F/1607 arrived from Dehlon side. Two Sikhs were sitting on the front seats. We signalled them through torchlight to stop but they left the car and after taking positions on the canal distributary bank, started firing in order to kill the police party but we, in self-defence replied the firing and I informed the police control room through wireless. From the nearby check-post, the SSP along with this party came to our help. The firing ensued from both sides with automatic weapons. The militants made me a special target. I used my SLR but the firing from their side was very heavy. Not afraid of losing my life I continued to fire. When the firing ceased, we found a dead body there. The other man had escaped. One AK-47 rifle with six live rounds was found on the body, while 32 empties were lying nearby. A small dairy bearing the name of Sukhdev Singh, Head Sewadar, Babbar Khalsa International was recovered from his person. The escapee had left seven empties of .30 mossier behind. The police fired a total of 203 rounds during the hour long encounter whereas, the militants fired 39 rounds”. According to the findings of the IHRO team, Bhai Sukhdev Singh was living at house number 20, Urban Estate, Patiala in the garb of a contractor as Jasmer Singh Sandhu. On the night of August 8, 1992, the Ludhiana SP(D) , Balwant Singh Gill, on receiving cue from Chandigarh went to Patiala with a selected police force and rang the call bell of the said house and also gave the ‘code word’ which was known to a top notch of the Babbar Khalsa and a very few other associates. When the Babbar Khalsa chief descended from the upper storey of the house and opened the gate, the police immediately pounced upon him. After a short scuffle, the Babbar fell down and was over-powered. He was then taken to Ludhiana along with his Maruti Car (CH-01-F/1607). At Ludhiana, he was interrogated and tortured in the CIA staff and the Focal Point police station. In the early hours of August 9 when he was almost dead due to severe torture, he was put in his car and taken to the Dharaur village culvert on the Sahnewal-Dehlon road. At about 5 am, while he was still seated in the car, he was shot dead and his body was thrown out of the car. Later the police made up the story that the Babbar was shot dead in an armed encounter in order to project the ‘bravery’ of certain police officials like SSP Chattopadhya, SP(D), B. S. Gill, DSP(D), Shiv Kumar, DSP, Narinder Pal Singh, SP(O), P. P. Shabharwal and Inspector Gurjit Singh in anticipation of rewards and promotions. While showing the blood stained rear seat of the car, its broken glasses and Sukhdev Singh’s turban lying in the car to the newsmen, the over-enthusiastic police officials forgot that they themselves, in their made-up story had alleged that the two Sikhs had left the car and taken positions along the distributary bank before the “encounter” started. Then how did the blood and the turban come into the car, which had already been abandoned? The police says that the Babbar was identified from a small diary bearing the name of Sukhdev Singh Babbar, Head, Sevadar, Babbar Khalsa International, which was allegedly recovered from his body. Will an underground militant, who was living in the guise of a contractor Jasmer Singh Sandhu for long time, carry along with him a diary with his full real name and particulars written on it? Bhai Gurjant Singh Budhsinghwala, the Chief of the Khalistan Liberation Force, who was killed by mainly the same police party a week earlier, was also alleged to have been identified in an identical manner. Do the militants who encounter this very police party, bring the diaries containing their full identity in their pockets to help these police officials in their identification? The people of the area heard only seven or eight shots being fired at the time of the “encounter” whereas, according to the police report 342 rounds were fired. How do we account for such a large difference? According to the police version, two SP’s and two DSP’s were present on a single check-post, that too on a comparatively unimportant road, whereas the SSP himself was also near at hand. Do such high-ranking officers normally cluster at check-posts on unimportant roads? The SSP and the SP (D) who were both present at the time of the “encounter of Sukhdev Singh were also present during Gurjant Singh’s “encounter”. But when most of the other fake or sometimes genuine encounters involving militants of lesser importance are reported, these senior officers are not present there. How is it, that these officers are present at the time and place of only those encounters in which the top ranking Sikh militants are about to involve themselves? Baba Gurbachan Singh Manochal released a tape praising the character of Bhai Sahib. Politically their views differed. Bhai Sahib was in favour of boycotting elections, while Baba Manochal was in favour of standing in them. Bhai Sahib saw this as accepting Indian supremacy and against the 1986 Declaration of Khalistan. However despite this difference the Pyaar between the two Great Generals was clear to see. When Police raided his Bhai Sahib house, where he had lived in disguise, they found numerous. There books which detailed the Russian and French Revolutions. Other books on American Independence and its constitution, and books on English History and the workings of its Parliament. This showed how far Bhai sahib has studied into how nations are built and structured. The day after Bhai Sahib’s shaheedi was announced, his body was taken to Ludhiana Civil Hospital under tight army security. A post mortem was done, then quickly the body was taken to a commemoration ground and cremated. The authorities knew the popularity of Bhai Sahib in Punjab, and wanted to make sure no huge funeral could take place. Worldwide numerous Akhand Paths & Rainsbhais were held in Bhai Sahib’s memory. The genocidal Chief Minister Beant Singh put a state wide curfew on the 20th August to ensure no Akhand Path bhogs are held. This curfew was enforced with a “shoot to kill” policy on anyone seen walking the streets. A day before, in the village Dhassuwal, Amritsar, an akhand path bhog was held for the longest serving leader of the Khalistan Movement. Realising the impact on this, roadblocks were set on a 35km radius. All the villages within the radius were evacuated. Anyone trying to get to the bhog ceremony was arrested or shot on sight. Thousands of Police and Army personnel were sent to the area to enforce this. So the 37 year old leader of the Sikh Freedom Movement, who was six foot tall, with a good build, hawkish eyes, brave warrior, and creator of the Babbar Khalsa had no Shaheedi smagam in his home village, but all of the world it was commemorated. In his house, surrounded by Police, 5 young Singhs, his father, Bapu Jind Singh, his wife Bibi Sukhwant Kaur, Bibi Gurmeet kaur – his sister-in-law and wife of Bhai Mehal Singh, brothers Rushal Singh and Angrej Singh, and sisters Swaran kaur, Charan kaur, Jeet kaur, and cousins Harbans Singh, Daljeet Singh and Sukha Singh were allowed to stand in ardas at the Akhand Path Bhog. They were all surrounded by Police. Outside the Police had arrested and taken to prison everyone who tried to attend or was already present at the bhog. This included over 100 men, over 200 bibian, Bhai Sahib`s relatives, his children:- Tejinder Singh (13 years old), Gurvinder Singh (9 years old) and Amrit kaur (11 years old). Bhai sahib nephews:- Balraj Singh (19 years old) and Pargat Singh (17 years old), and other relatives Baghel Singh, Rashpal Singh, Baljit Singh, Baldev Singh, Dalbir Singh were also arrested and put in cells. Eve those Gursikhs making langar were not spared police arrest. The Indian Security Services and especially RAW (Research and analysis Wing) knew the Babbar Khalsa group were a puritan group whos fight was based on high ideals. Jathedar Sukhdev Singh was an iconic figure in Punjab and the backbone of the movement. They knew they had to discredit him to make sure no new Sukhdev Singh should rise from his ashes. This policy had already been used effectively on Deepa Heeran wale who was hugely popular in his area. So a detailed propaganda campaign was launched by the security forces, and spread via the press, and even via other agents amongst the Sikh leadership. In hindsight now it is easy to see who is who. In them days it was more difficult. Just compare the sacrifices of Jathedar Sukhdev Singh Babbar, Anokh Singh Babbar, Gurjant Singh Budhsinghwala, Avtar Singh Brahma, and Gurbachan Singh Manochal, with those who spoke against them such as Badal, Wassan Zaffarwal, Dr Jagjit Chohan and other Panthik traitors. Jathedar Sukhdev Singh was attacked on two points which is important to be cleared, as the propaganda was done over a number of years to the Sikh masses and some many still question Bhai Sahib. Firstly, comments were made on his lifestyle mainly due to the house in which he lived. The house was very large and well decorated. We have to understand for Bhai Sahib to live for 14 years and take guerrilla warfare to the level that he did, plus also co-ordinate efforts world wide, he could not have done this living in a field, a ditch, or a shack. The house and lifestyle were part of his disguise as the rich building contractor, which gave him access to numerous telephone lines, faxes, and powerful contacts. This was essential to run a parallel government like he between 1986 -1989. Secondly propaganda was spread that he remarried and had children. This is also not true. Bhai Sahib was only married once to Bibi Sukhwant kaur in 1978, and he had children with her. To maintain his disguise, he could not have his actual wife living with him. She was constantly under surveillance, and it would expose his disguise straight away. As part of the disguise, it was made to look like he had a family. This was with a Bibi Parcharak who was sympathetic to the cause, and a child was adopted from a Shaheed Parivaar. This period between mid 1992 to 1993 saw the capture of many of the Leadership of the movement. Within months, Bhai Rashpal Singh Chandra, Bhai Gurjant Singh Budhsinghwala, Jathedar Sukhdev Singh Babbar and Baba Gurbachan Singh Manochal were Shaheed. Other key figures shifted operations to Pakistan and other countries. Later Wassan Zaffarwal, Dr Sohan Singh and Dr Jagjit Chohan showed their true colours. In the run up to the next election, Congress Chief Minister Beant Singh made a statement that he was higher the Sahib Siri Guru Gobind Singh, because he has killed all his Singhs. By now a new generation had joined this path. Bhai Jagtar Singh Hawara had set up a unit, which decided to show Congress leader Beanta that Singhs had not been finished yet. 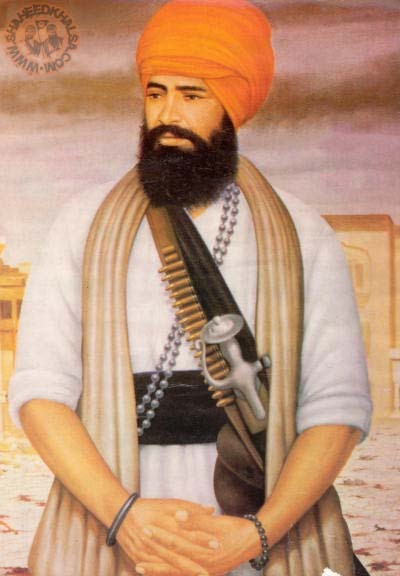 A young Singh called Bhai Dilawar Singh Babbar sacrificed himself to assassinate Beant Singh and many of his aides. KPS Gill still walks free today……. Dilawar Singh, explosives around his waist, was waiting for the Chief Minister to come out of the building on August 31, 1995, since 2 pm. Sikhing inspiration in English/Punjabi from Singh Sabha Bradford.